We are very proud to be listed in the dairy foods innovation section of their website! Please click here to read more! 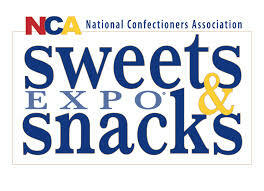 Come Join Us at the Sweets and Snacks Expo in Chicago! Comments Off on Come Join Us at the Sweets and Snacks Expo in Chicago! If you are attending the Sweets and Snacks Expo in Chicago from May 24th -26th, stop by booth #2373 and try a delicious Cheesewich! Show Hours: Tuesday May 24th 10am-5pm Wednesday May 25th 10pm-5pm Thursday May 26th 9am-2pm Find out more by clicking here!